Peach is arguably the most established, freely available fuzzer out there. It has tons of built in functionality to support a huge range of features. While you can data model even the most complex protocols, you can only go so far with a PeachPit before you realize that you just need a custom publisher. In this blog post we'll show how to write and compile a custom publisher so you can spend all your CPU cycles fuzzing the stuff that matters. Since you can do so much with a DataModel and a StateModel, identifying when it's time to transition from a PeachPit to a custom publisher can be tough. To me, it all depends on what you're looking to fuzz. The most common case is your target protocol or file format has multiple levels of encapsulation. Sure, you could easily DataModel this encapsulation, but then you're stuck manually excluding higher level encapsulated data. And in some cases, the encapsulation creates a situation that the DataModel just can't handle. Now if we're just looking to fuzz XYZ Proto then a DataModel here using the UDP Publisher would do just fine. However, since we're looking to fuzz Custom Protocol, we have a bit of work to do. Establishing a TLS tunnel is beyond the purpose of the DataModel - and the only way for us to get at the important part, is to buld a custom publisher. If you're just dealing with file formats, this same idea still applies, but its more likely you can build out the DataModel for the entire file format, rather then hitting the TLS brick wall. That being said, it might not be necessary to build the DataModel for the higher level file formats if a custom publisher can be written. Technically, you don't have to compile Peach from source. A little later on I'll walk you through compiling your custom Publisher without the entire Peach source code. But the reality is that when you're building your Publisher, you'll need to look at the source of other Publishers to get better understanding of how everything works, so you might as well learn to build everything from source anyway. 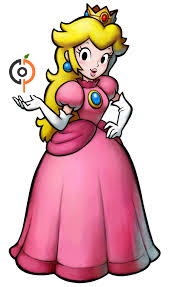 Download the source package from Peach's sourceforge page. I'd recommend downloading the latest Beta source code, rather then the stable source so that you can take advantage of bug fixes, etc..
Peach will install the compiled binaries into output/linux_x86_release/bin and output/linux_x86_debug/bin. OnStart() Called when the publisher is started. This method will be called once per fuzzing "Session", not on every iteration. OnStop() Called when the publisher is stopped. This method will be called once per fuzzing "Session", not on every iteration. OnOpen() Open or connect to a resource. Will be called automatically if not called specifically. OnClose() Close a resource. Will be called automatically when state model exists. Can also be called explicitly when needed. OnAccept() Accept an incoming connection. OnSetProperty(string property, Variant value) Set a property on the Publishers resource. Depending on the purpose of the Publisher, some of the above functions are more important then others. For instance, if we're only concerned with modifying the output of data right before its sent, then we'd just override OnOutput(). From here on out we'll demonstrate everything else you need to get started by building a simple example that adds a layer of encapsulation within the UDP protocol. This example would be trivial to add to a DataModel, but for the sake of this example, we'll implement it in a Publisher. Now comes our program body, we'll need to build a new packet with the ABC Proto's header and length fields. Header is a 2 byte static value of 1234, and length is a 2 byte value for the length of the data field in network byte order. Since the length field is only 2 bytes, we first need to put in some intelligence that ensures the length of data does not exceed the maximum value of that field. This can be an controversial move and its an important note to make about custom publishers. Our intention is to fuzz the heck out of Custom Protocol and as part of that fuzzing, we should be trying really long strings and other values. By implementing this limitation we are effectively limiting our test cases. It might be worthwhile just to forget about an accurate value in the ABC Proto Length field as it might lead to more vulnerabilities. That being said, let's leave that option up to the end user of the publisher. We'll do that via a parameter that we'll implement a little further down below. Alright! Our custom ABC Proto publisher is written! On to compiling..
We could recompile the entire Peach source code as per the instructions above, or using a standard Peach binary release, we can save time by compiling only our new custom publisher. Peach runs on Linux with the help of the mono framework which allows .Net applications to run on a number of different platforms. The dmcs utility is a compiler within mono which we'll use on our Kali installation. If all went well, you should should have a MyCustomPublisher.dll! The full PeachPit for this project can be found here. [*] Test 'Default' starting with random seed 5136. Now Wireshark doesn't have have a plug-in to parse for our ABC Proto (WTH wireshark dev team?!) 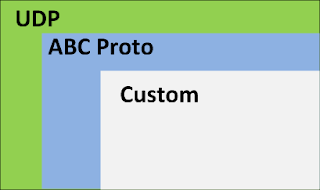 - but if we look at the raw data we can see our ABC Proto header, length fields, and included within the data is the content of our DataModel. Got any tips for creating publishers? Share below in the comments! How did you install peach fuzzer on kali linux? Thanks for the info on how to compile the publisher without recompiling peach all over again.